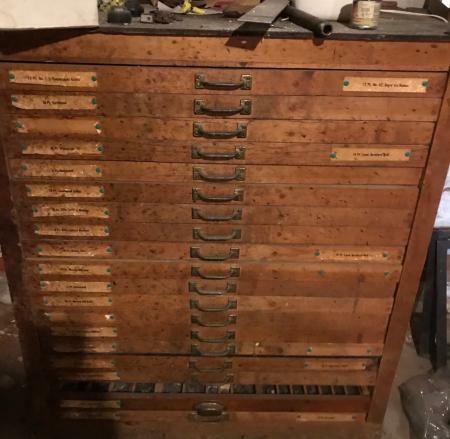 I don’t know much about these except that they are 20 drawer type cabinets filled with metal type. 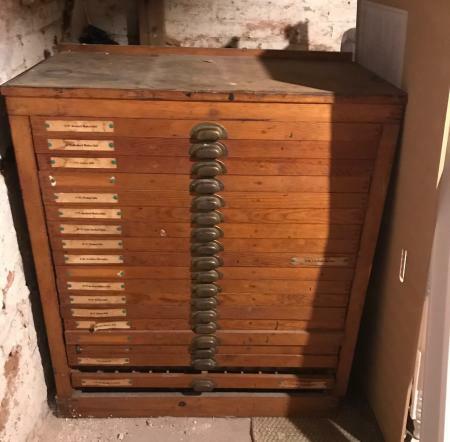 As you can see in the photo there are a handful of missing drawers. You can also see some superficial discoloration / splatters on one of the cabinets. I don’t know what it’s from, but it’s been there since I got these 10 years ago.